We look forward to the new year and new opportunities for innovation and growth in the government contracting community. This past year, the public and private sectors both experienced more emphasis and demand for cybersecurity, merging technology with health care, and how to best mitigate the insider threat. As a part of an annual series, WashingtonExec reached out to those most knowledgeable and experienced in the federal contracting space. We asked executives in and around the Beltway for insight on the direction they see in the industry. Topics discussed include M&A activity, public/private sector collaboration, cloud computing migration, the incoming millennial workforce in defense/IT/health care, talent retention and more. 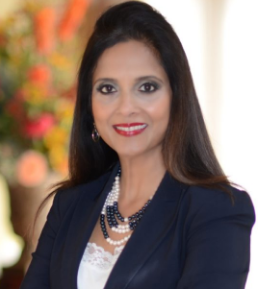 Next in the series is a conversation is Inoventures President and CEO Meena Krishnan. Headlining topics over the last couple years include merging technology with healthcare, cloud storage, big data, insider threat, and the internet of things, among others. What is the main topic of interest in 2019? What markets in the GovCon space do you see growing/contracting? What will 2019 hold for government contracting? More M&A activity, consolidation? IT budget cuts? How’s today’s market affecting the way you develop and retain talent? According to Deloitte’s summary, “Corporate and private equity executives focused on mergers and acquisitions (M&A) anticipate further acceleration of deal flow in 2019—both in the number of transactions and in their size.” I expect 2019 will showcase a good amount of M&A activity resulting in synergistic mergers as dictated by the need in the public sector space. Retaining the top talent will continue to be a challenge. With Amazon moving to Arlington near Washington, D.C., there will be increased hiring in the D.C. area and that could work both as a positive and challenging influence. On the positive side, more advanced talents will be available in the D.C. area. However, with competitive rates in the industry, it may be hard for existing companies to retain talents who are located close to the government agencies. With our innovative talent acquisition approach, we are prepared to face any challenges by recruiting and engaging with our staff throughout the entire project lifecycle. As Jim Collins explains in the book “Good to Great,” placing the right people on the right seats will become even more important during 2019. What’s been your business strategy across multiple presidential administrations and what’s your organization’s plan for growth in 2019 and beyond? Our core competencies and value systems allow us to face shifts resulting from various administrations. When we do what we do in the best possible way, we are armed against any adverse administrative changes/challenges. As a company serving government agencies, we are proud to make a big difference in mission-critical work. Our fundamental value system rooted in assisting economically disadvantaged HUBZone areas by offering them employment allows us to create social impact in the best possible way. Inoventures is an employee-centric company and believes in putting customers first with a strong focus on innovation, efficiency and social impact. We operate with a sense of purpose and urgency; our collective efforts go to benefit and make a difference in the agencies we serve. Our CMMI Level 3 and ISO 9001:2015 processes add accuracy and our experience in various traditional and emerging technologies work on making a difference to the customers. In 2019, we plan to make a difference in the public health IT market by creating innovative technology applications while making social impact. With our unique capabilities in public health, IT and cloud applications, we are confident we will have an exciting year ahead. What concerns you the most when looking at the future of GovCon? What excites you the most? As always, businesses who choose to work with government agencies need to understand the roadmap and ever-changing guidelines. It can be a complex system to follow and companies need to be alert and stay aware of the changes. It’s always exciting to develop and implement solutions that support the agencies and make a difference to the general public. For example, our work at the Centers for Disease Control and Prevention on HIV prevention and work on achieving public health impact through research all showcase how our contribution makes a difference on public health. Our work at Food and Drug Administration and Indian Health Services have provided greater difference in improving public health of general population. With our history of health IT record management, we are very excited to make a difference in 2019. What future collaboration topics and projects should take will take place between the public, private and academic sectors? As a Wharton Business School alum, I enjoy learning from the Wharton’s Mack Institute for Innovation. While the public and private sectors are very different, efficiency and innovation are common themes between them. That’s where the academic sector can work as a bridge in helping the synergies realized. With innovation in the center, I’ve seen agile technology applied to the HR systems, thereby cutting costs for many companies, private and public sector included. Application of emerging technology is another upcoming common need between industries and sectors. What’s the next big reform in acquisition policy? How will the federal government prepare for the 21st-century workforce? The federal government is moving toward agile acquisition policy. As mentioned before, acquisition is going to be through category management to streamline the process. With the emerging technologies and established cloud technologies, government is getting ready to prepare for the next century. With the younger workforce coming on board, technology is no longer taken for granted. Technology is here to stay and add efficiencies and save resources. So, I predict a trend of moving over to emerging technologies and AI. Most important information to remember is to understand the ecosystem in the government sector and navigate the guidelines smartly. With the growing hunger for efficiency and technological innovation, businesses need to get smarter with delivering these services to the government on target and understanding our U.S. government cares about social impact as well. Leaders should make that a part of their businesses and also develop a team that is well-trained on their vision; this would allow them to rest assured that they have left responsible teams behind them to continue their mission for a long-lasting impact. Previous ArticleK-12 STEM Symposium Awards: Have You Sent in Your Nomination Yet?